The release of nearly 400,000 classified Iraq war documents by whistleblowing website Wikileaks could endanger UK service personnel, the Ministry of Defence has said. The leaked material suggests US commanders ignored evidence of torture by the Iraqi authorities. The documents also suggest "hundreds" of civilians were killed at US military checkpoints after the invasion in 2003. The MoD condemned "any un-authorised release of classified material". In a statement, it said such releases "can put the lives of UK service personnel and those of our allies at risk and make the job of armed forces in all theatres of operation more difficult and more dangerous". The files released by Wikileaks show the US kept records of civilian deaths, despite previously denying it. The death toll was put at 109,000, of whom 66,081 were civilians. The US government has criticised the leak, which is the largest in American military history. At a news conference in London, Wikileaks founder Julian Assange said that those snapshots of everyday events offered a glimpse at the "human scale" of the conflict. The deaths of one or two individuals made up the "overwhelming number" of people killed in Iraq, Mr Assange said. The new documents and new deaths contained within them showed the range and frequency of the "small, relentless tragedies of this war" added John Sloboda of Iraq Body Count, which worked with Wikileaks. Phil Shiner, a lawyer who said he was acting on the behalf of the families of many Iraqi civilians who were killed or tortured by UK forces, said it would be "wrong" to assume the leaking of US documents had "nothing to do with the UK". The lawyer, who said he was dealing with 142 outstanding cases of alleged mistreatment, argued that some Iraqis were "killed by indiscriminate attacks on civilians or the unjustified use of lethal force", adding that "others have been killed in custody by UK forces and no-one knows how many Iraqis lost their lives while held in British detention facilities". Arguing that there is a growing body of evidence about the killing, ill treatment and torture of Iraqis whilst in UK custody, the lawyer said there appeared to be "many cases" in which Iraqis died in UK custody and were then certified as dying from natural causes. "None of these deaths have been investigated, many of these Iraqis were hooded and abused and my law firm does not accept the Ministry of Defence's explanation that each and every one of these deaths has a innocent explanation," he said. Mr Shiner also accused the MoD of covering up details of maltreatment and called for "a judicial inquiry to fully investigate UK responsibility for civilian deaths in Iraq". 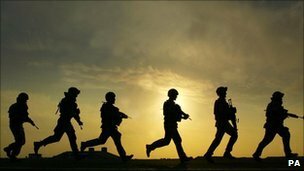 The MoD said: "There is no place for mistreatment of detainees and we investigate any allegation made against our troops. "The protection of civilians is always at the core of what UK forces do in any operational theatre and any civilian casualty is, of course, a matter of deep regret and we take any incidents extremely seriously." And it said the Iraq Historic Allegations Team (IHAT) had been set up to establish the truth or otherwise of any allegations. Speaking to reporters in Washington on Friday, US Secretary of State Hillary Clinton said she condemned Wikileaks' disclosure and suggested the leaking of US documents put lives at risk. However, Wikileaks said it was confident that the documents - which it has amended to remove names and other identifying details - contain "no information that could be harmful to any individual".